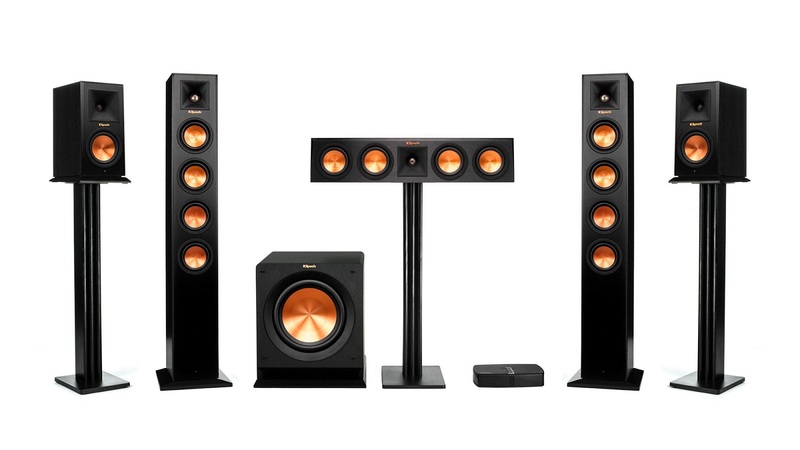 Klipsch has created the first ever future-proof wireless home theatre system delivering unparalleled cinema-quality sound: Reference Premiere HD Wireless! Klipsch, a tech-driven audio company, announced the launch of its Reference Premiere HD Wireless speakers. These award-winning speakers feature the same Reference Premiere acoustic platform that Klipsch is known for and combine it with an HD Control Centre for lossless, wireless audio transmission. The Reference Premiere HD Wireless speaker series consists of tower speakers RP-440W monitor speakers RP-140WM) and a centre channel speaker RP-440WC that features a two-way design and utilizes the same driver and horn technology as the brand’s debuting Reference Premiere series. The system’s RP-110WSW subwoofer is also modeled directly after the new Reference Premiere R-110SW subwoofer, but offers the added convenience of WiSA wireless connectivity. The “brain” of the wireless Klipsch system is the HD Control Centre smart distribution hub that allows for simple connection of up to four HDMI® equipped devices, digital optical, analog and Bluetooth® wireless technology. It processes multi-channel inputs and distributes them wirelessly with transmission of up to 24 bit/96kHz. With Klipsch’s proprietary Smart Speaker Selector, one button on the rear of each speaker seamlessly makes the connection to the HD Control Centre, eliminating the need run speaker wire or connect an A/V receiver. Providing remarkable low-frequency response with minimal cone breakup or distortion are the speakers’ iconic copper-coloured Cerametallic™ Woofers. The woofers are coupled with ceramic motor structures—a design that when paired with Tractrix Horn-loaded LTS tweeters combines for speaker efficiency that is highest in its class. The Klipsch Reference Premiere HD Wireless range will be available for purchase later on this year from Sound & Image. We are looking forwarding to showcasing this latest technology from Klipsch. Keep a look out on our facebook page for launch details.